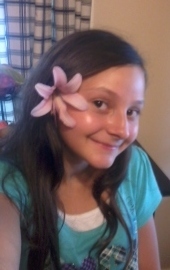 Olivia Bochicchio was born in Oklahoma in 1998 and currently lives in Illinois. Some of her favorite activities are photography, tending to animals and watching the sun set over Lake Decatur. She also has quite a talent for predicting and explaining the weather and will soon be off to college (major undecided). 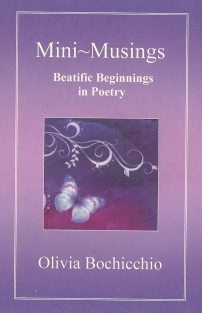 Mini~Musings is her first collection of poetry. This chapbook contains seven gems that were written by the young poetess at a mere ten years of age. Her work is a charming return to the innocence of childhood, and that innocence mingles with a noteworthy dose of precociousness. You may see a few.